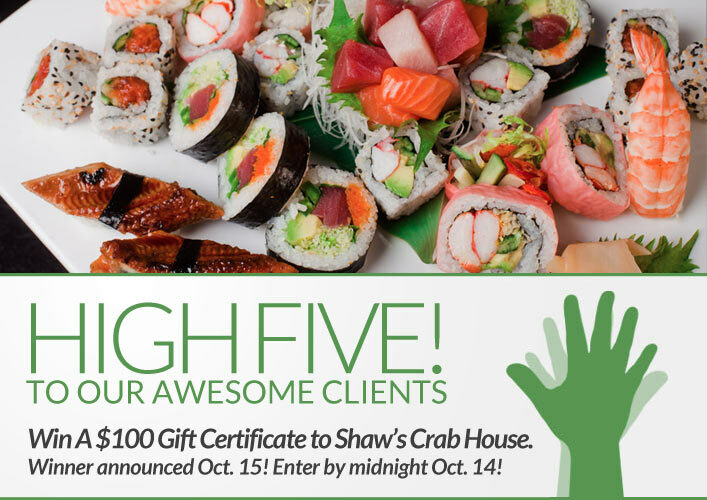 Win a $100 Gift Certificate to Shaw’s Crab House! Congratulations to Allisa Smith on winning our twelfth High Five Giveaway and thank you to all who entered. For our next High Five Giveaway, we are doubling the value! Win a $100 gift certificate to Shaw’s Crab House! One of our recent blog posts was meant to encourage men to embrace their what? Hint: Look at the sidebar of this page! Now, just add a comment to this post with the right answer to be eligible to win! The winner will be announced on Monday, October 15. Entries must be received by midnight on Sunday, October 14. Good luck! Curls. Theyre just not for girls!